Evo Big Date Ladies is a medium-sized ladies watch that convinces with its well-balanced proportions and easy-to-read, large date display. 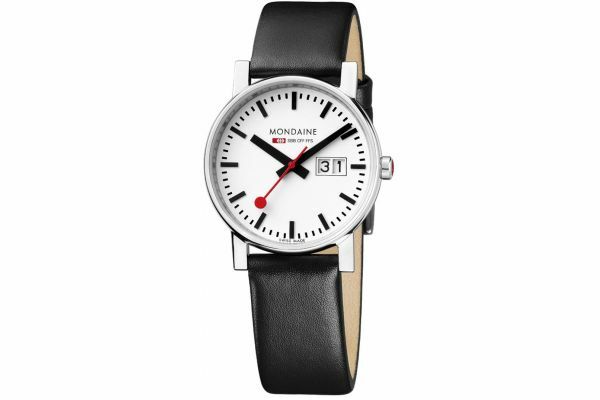 This model carries a black leather strap which fastens with a traditional buckle design. The slightly convex mineral glass affords an excellent view of the easy-to-read white dial and contrasting black markings.